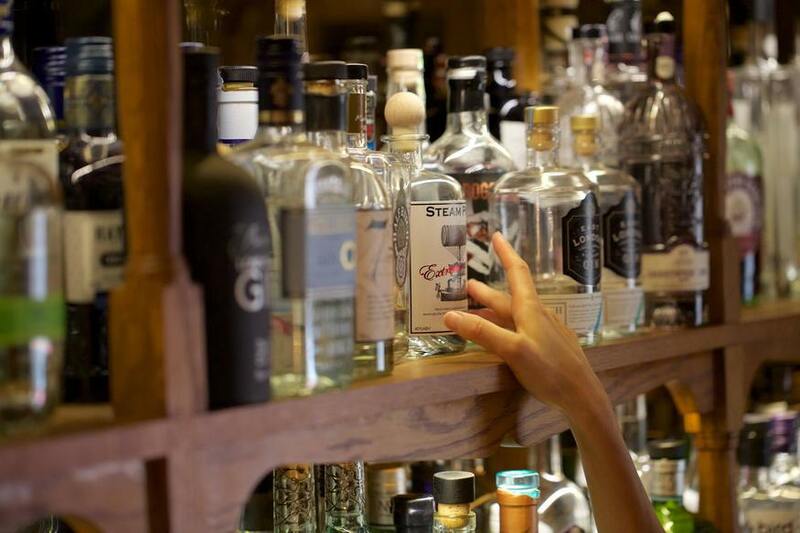 There's a lot of gin to choose from at Mr Fogg's Gin Parlour. Like your martinis classic or dirty? Gin or vodka? Onion or olive garnish? Shaken or stirred? No matter what you're in the market for, London has a martini to meet your needs. Even if what you need is marmalade. The martinis at this constantly-crowded gastropub are small, simple tumblers, all just as dry, wet, clean or dirty as you ask for, and all at about the £6 mark. Play it safe with a frosty dirty martini, or, if you're feeling adventurous, check out their version of the breakfast martini. It's a divisive marmalade and lemon juice beast that's prone to being oversweet and treacley in the wrong hands -- but these are very much the right hands. 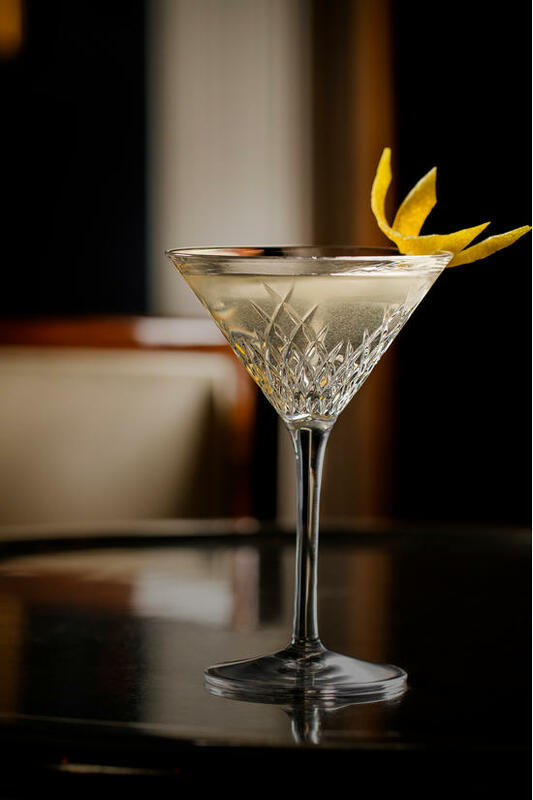 You might not have heard of barman Gilberto Preti, who's thought to have created the Vesper, but you'll almost certainly know of its most famous fictional drinker. 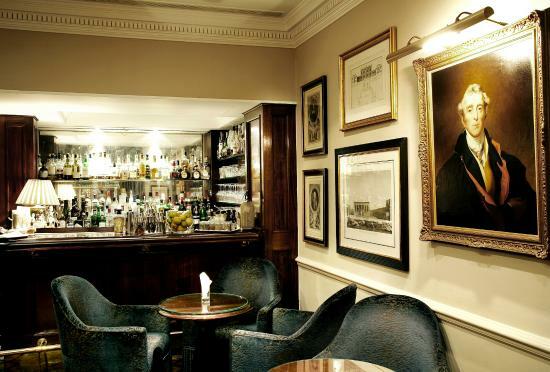 Preti was working in the bar of Duke’s hotel just off St James’s Street in the early 1950s when he created the drink for the first time, especially for author Ian Fleming. Whereupon Fleming was so impressed with the cocktail's suave cred that he wrote it into Casino Royale. In the first Bond novel, 007 explains to a barman how to make it: “Three measures of Gordon's (gin), one of vodka, half a measure of Kina Lillet (now called Lillet Blanc). Shake it very well until it's ice-cold, then add a large thin slice of lemon peel. Got it?". Or if you feel like a DIY touch of DUKES at home, read more about how to shake up a Vesper of your own here. Bitter espresso, small-batch vodka, brutalist architecture and high art. It's like the Barbican Martini Bar has taken all the most urbane tropes they could think of and fused them into this rich, black, night-owl martini. Drink up, and spend the evening soaking in one of the on-site exhibitions or plays, wide-eyed. This EC1 bar's named after a martini with the olive switched for a pickled onion, created for the artist Charles Dana Gibson in 1908. The same drink that Cary Grant knocks back pre-dinner in North by Northwest. Unsurprisingly, the Gibson's their headliner cocktail -- and you can't argue with the gently vinegary sting of the standard version. 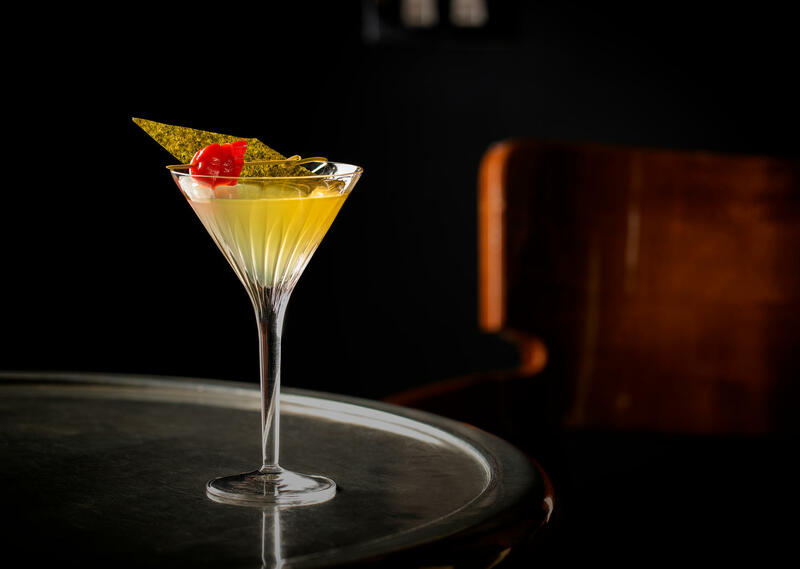 But to take advantage of the bar's perfectionist and experimental ethos, go for the Redistilled Gibson Martini: gin and Noilly Prat, steeped for 72 hours with pickled onion, lemon zest and pickled spices. Said to be Hemingway's favourite version of a martini, the Montgomery's mostly a glass of gin with a vanishingly-brief touch of vermouth. Sink back into a claw-footed chaise longue and enjoy Tanqueray gin, Noilly Prat vermouth and orange bitters in a ratio named after Field Marshall Montgomery -- who would engage the enemy with a 15:1 advantage for his troops. 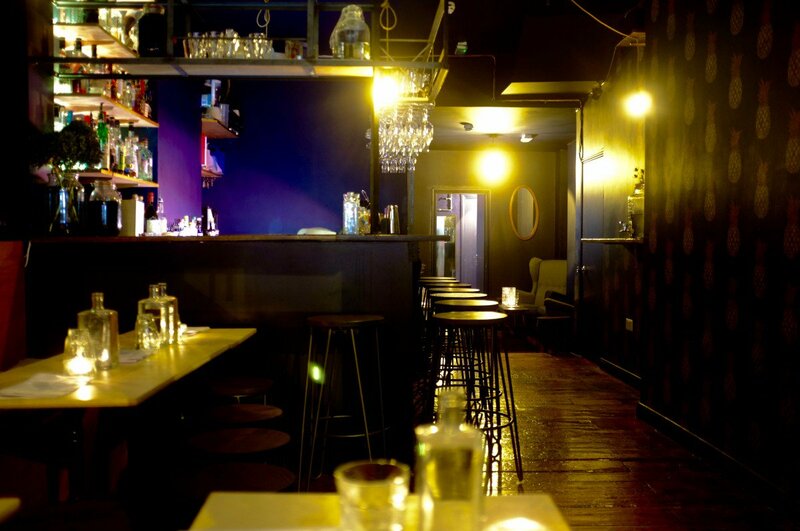 This homey Hackney drinking den serves a small, perfectly formed martini to match. The Martiny is a double-shot glass, served chilly and compelling. And it comes from a Jager machine that's been twisted to holier ends. Surely the most socially significant repurposing of tech since Arnold came back to save humanity in Terminator 2. It's £5. It's three for £12. It's strong, tiny, undeniable. Stashed away in a bookish corner of swank-former-bank The Ned, The Library Bar proves that drink-driving isn't all bad, thanks to its martini trolley. Each beverage from this souped-up bar-on-wheels is studiously measured and mixed with the dedication of a Buckingham Palace butler attending to the Queen's nightcap. Poured out into chilled cut-glass, by a white-tuxedoed chap, you feel like royalty before you've taken the first sip. The House Martini is a meaty gin classic, flecked with orange bitters. The Apricot Vesper is a subtly floral take on the Bond staple. We can't remember what our third was. For anybody who loves the idea of an espresso martini but can't stand the sickly syrupyness so many are laced with: this version from Mediterranean restaurant Dar is The One. Their titchy restaurant in Tooting Broadway Market stirs up a Turkish coffee martini, with all the grainy residue and fierce punch of a Turkish espresso, along with, well, a lot of booze. A velvety glass of sleeplessness. The martinis at this dimly lit, underground Mayfair bar don't look like anything out of the ordinary. But there's a cool smoothness to them: courtesy of the way they're stirred with frozen birch sap rather than ice, to silken the finish against your tongue. A touch of perfectionist hedonism to justify the steep pricetags. This is a bar specialising in martinis, and the bartenders know their (cocktail) onions. Worth trusting if you want to place yourself in their hands and leave the choice (from a wide range) of gin/vodka/vermouth/garnish up to them. Londonist's recommendation? The Coastal Martini. The gin's infused with samphire, the vermouth's infused with cured lemon. Black pepper tincture, seaweed flake and chilli are thrown in for good measure. It sounds complicated but adds up to a simple, briny chill. With a kick. Like a windswept English beach holiday in a glass.